Building, managing and hosting websites is easy with Sitejet, but there might be good reasons to host a project somewhere else. In this article you will see how easy it is! 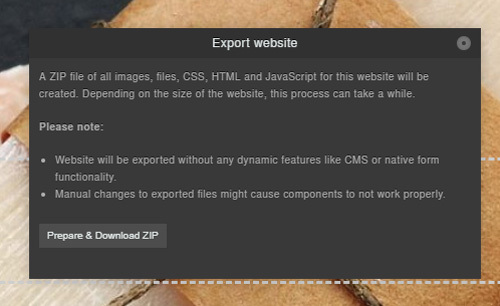 Before you can export anything, you need to build the website you want to export. Have a look at other articles that will guide you step by step. 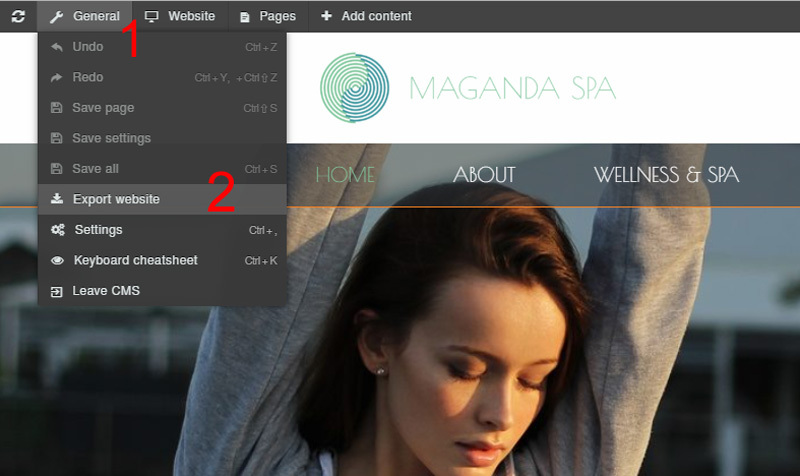 After you've created your beautiful website it's time to export it. 1. Simply navigate towards the General settings tab and hover over it. You will see this window in the center of the CMS. Click Prepare & Download ZIP and the download will start. Please read the notes carefully and keep in mind, that you need to have a Team or Agency plan active to be able to export your projects. Read more about the plans.